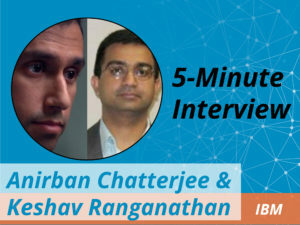 In this week’s 5-Minute Interview (conducted at GraphConnect San Francisco), we discuss the ways in which the IBM Power Systems and Neo4j partnership came to fruition, and the powerful benefits both companies are able to provide to customers because of it. Talk to us about why you all at IBM Power Systems decided to partner with Neo4j. Anirban Chatterjee: We partnered with Neo4j because of the hover platform that we sell, IBM Power Systems. We’ve been working with Neo4j to optimize it to run even more efficiently on IBM POWER8. In fact, we’re at about 80-90% faster per price performance on Power Systems compared to the equivalent x86. Which means that if you were to buy two socket servers from us instead of Intel, we’ll provide up to 80 or 90% better performance. At a base level, that’s the value we offer. On top of that, we’ve been doing some work with Neo4j to add CAPI Flash support. This means you can search large graphs in memory without high memory costs, because of the ability to take flash memory and hook it directly into the system. This makes it act more like real memory without all the latencies you see with flash, so it’s a much cheaper way to get a large graph onto the system. Keshav Ranganathan: We first looked at the capabilities of graphs, such as searching large amounts of data and uncovering new relationships. And when you look at some of the IBM Power System capabilities and the amount of memory that can be on a single system, we knew we had to support both scale-out and scale-up configurations. It seemed like a natural partnership, especially as databases were becoming much larger and with the emergence of big data. As the partnership really started to take shape, we realized what the two technologies could solve much more effectively when they worked together. 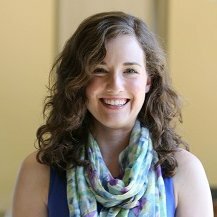 What is the most interesting result or project you’ve encountered through your partnership with Neo4j? Ranganathan: We are getting clients jointly, in which we see huge opportunities. This is especially true as data size grows beyond a terabyte of data, or maybe a few hundred million nodes. What we jointly bring to the table is going to make a huge different for our clients, and we’re really looking forward to this partnership. Can you tell us more about IBM’s partnership with Neo4j? Ranganathan: Well, this is not really a client partnership; rather it’s a synergistic partnership between two vendors, who bring technologies jointly to market to address client needs. I think we are making really good progress, and I’m happy with where we are in terms of our relationship with Neo4j. The new Causal Clustering capabilities are quite exciting, and we’re going to make sure we have that capability on Power Systems. We’re also leveraging some of the capabilities in Power Systems to increase scalability, and we are really looking forward to growing our partnership. Ranganathan: It’s pretty exciting to hear how much the community has grown over the last several years; that GraphConnect was a 200 person event in 2012 and is now a 1300 person event — that’s phenomenal. And it’s really interesting to learn about the connected enterprise concept in terms of data, relationship between data, and how to extract insight from the data. Watching Neo4j transform from a niche tool applied in a handful of cases to being an enterprise solution is really exciting as well. We look forward to the continued growth of graph databases, Neo4j and IBM Power Systems. Learn more about running Neo4j on IBM POWER8 with CAPI Flash: Click below to get all the information you need on large scale graph processing with IBM Power Systems and Neo4j.